Cockpit-Fest at Newark always seems to have passed me by over the years. I’ve been aware of it and always looked on at photo reports from previous events with interest, but the dates have never quite lined up in terms of getting up to Newark at the right time. Not a line up often seen, a TSR2 cockpit alongside that of a Lighting. Luckily that changed this year and I was able to make it up for the Sunday of the event. I hadn’t been to Newark Air Museum itself for a number of years, so if nothing else I was looking forward to taking in the impressive collection of post war aircraft on display. 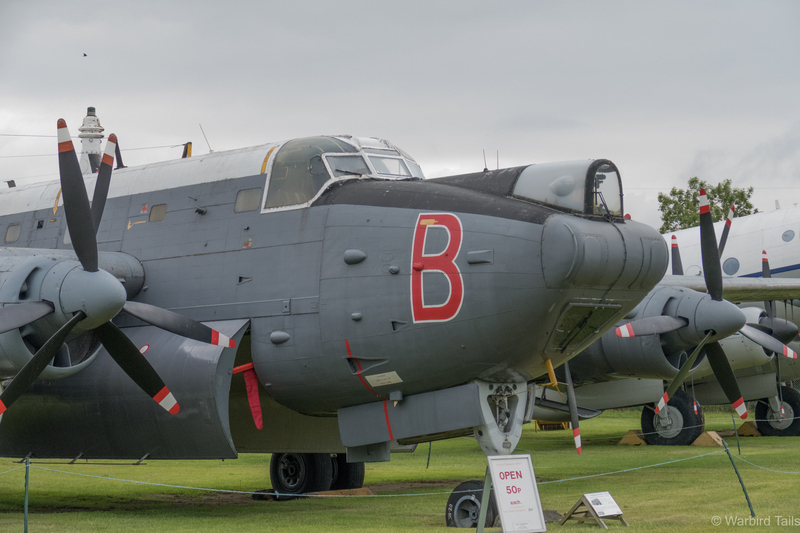 The museum is home to a number of interesting exhibits, such as this Avro Shackleton. Getting up to Newark for a decent hour meant a fairly early start, not that out of the ordinary during the airshow season and it was well worth it as we arrived at Newark early in the day with a chance for a leisurely look around. Walking in through the museum shop you’re greeted firstly by the museum’s Vulcan, XM594 but on this occasion there were also a series of cockpits lining each side of the path. Just in this small area there was a Harrier, English Electric Lightning, Chipmunk and even the whole front end of a Beagle Pup! Seeing the care and attention that goes into these exhibits is very interesting. This Scimitar nose was a personal highlight. Moving round the outside displays brought me to another row of classic jet front-ends, starting with the TSR2 nose section, on loan from Brooklands. 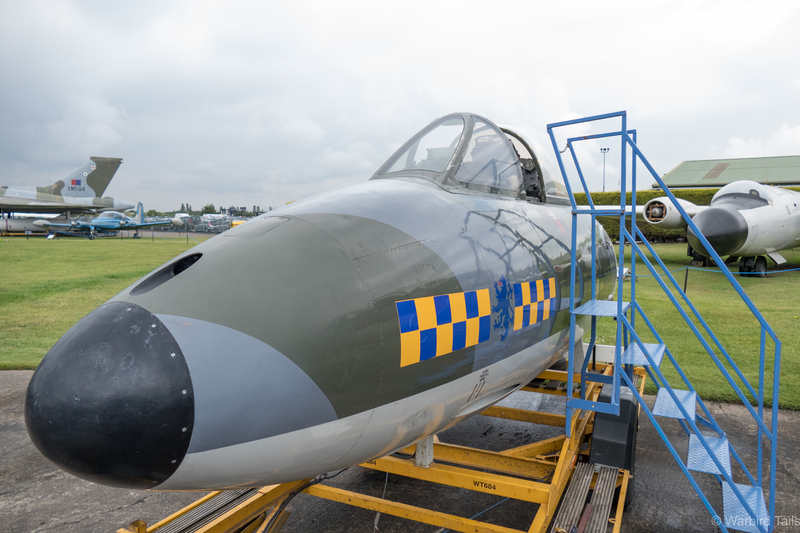 Further along there were examples of a Hunter, Canberra and Scimitar nose, the latter a particularly interesting exhibit. A very nice buccaneer cockpit was also in place. The beauty of all of these, TSR2 apart, is that you could climb up ladders and have a look in these cockpits. There aren’t many complete examples of these aircraft still around, even less that you can actually get a close up look inside of! 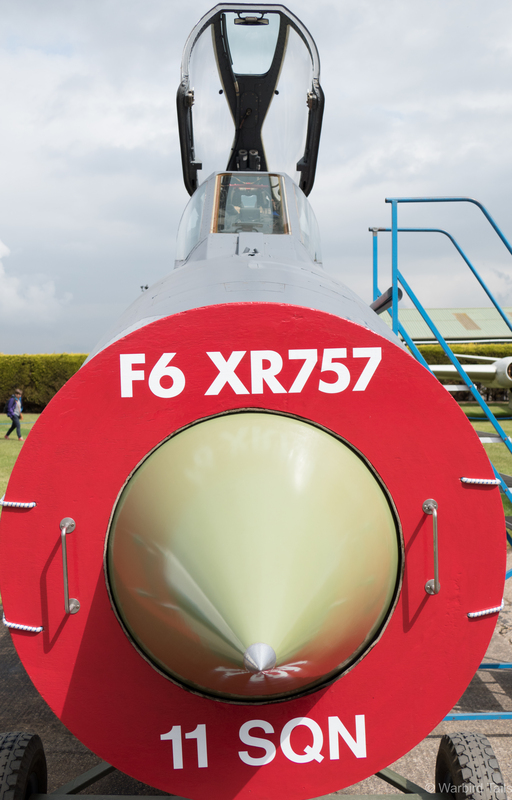 Lightning F.6 XR757 was a popular exhibit with a ladder for access to the cockpit. 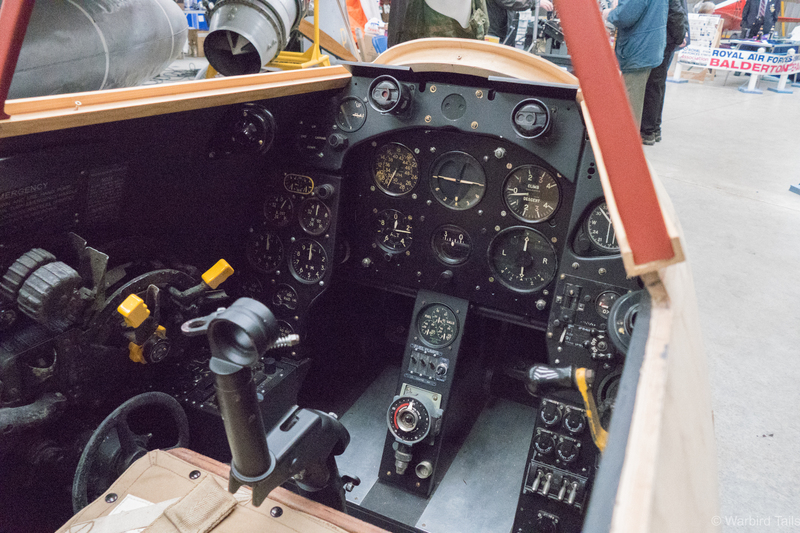 Some of the more delicate displays could be found inside the hangar, where amongst others there was a very well restored P-51D cockpit section, which was providing the opportunity for visitors to have a sit in and experience what life must be like for a Mustang pilot. 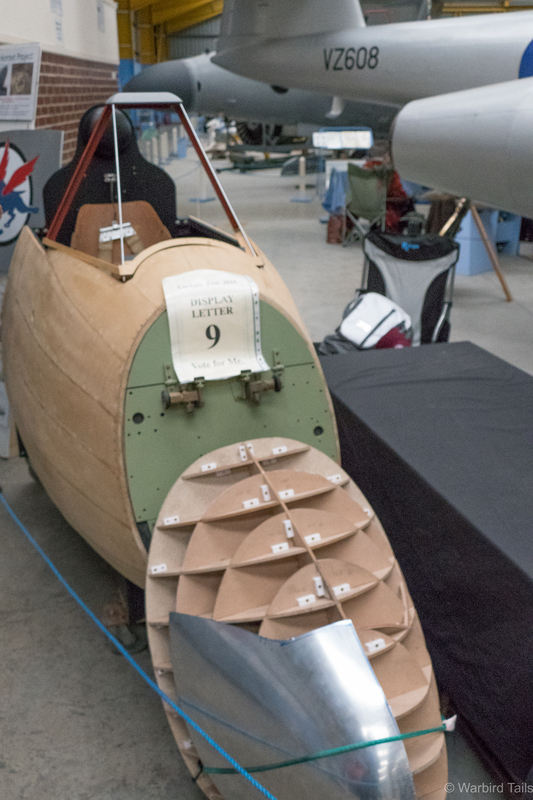 My “Star” of the show – The Hornet Project, the new aluminium nose cone and mould can be seen in the foreground. In truth though, the star of the show for me and the main reason for the visit, was David Collins’ Hornet project. Regular readers of this site will know that I have a soft spot for all things de Havilland and that the Hornet has a particular connection and family tie. I had only briefly seen this project once before at the de Havilland museum in London Colney so it was great to get a close up look. A look inside the Hornet cockpit shows the attention to detail that has gone into the project so far. 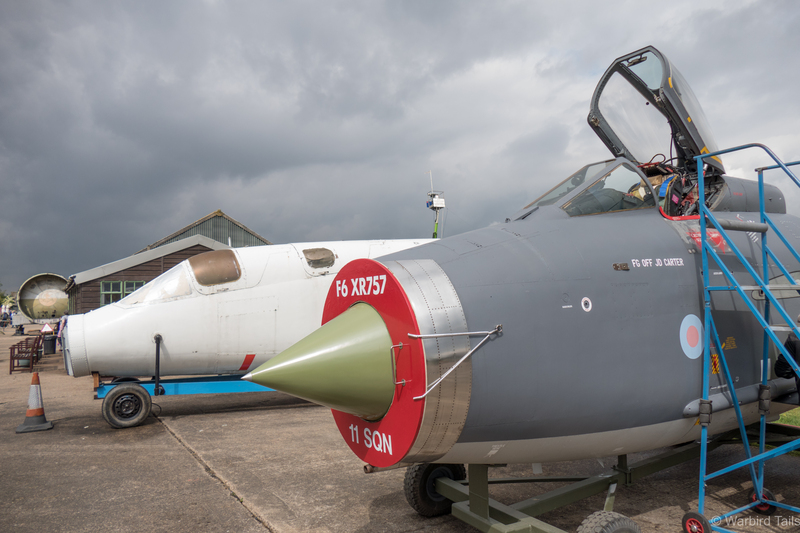 David’s latest additions include the aluminium nose cone, of which the former and one panel was on display with the cockpit. Once in place this will really help the Hornet’s appearance. This year marks the 60th year since the Hornet was withdrawn from RAF service, it has also been 10 years since David first displayed the Hornet at Newark. 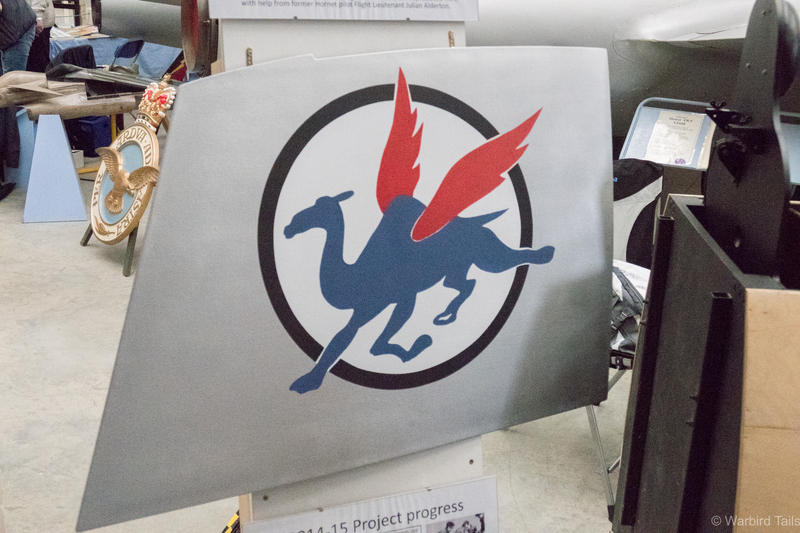 An example of the nose art of 45sqn “The Flying Camel’s” which David hopes to add to the cockpit in due course. It wasn’t just about the cockpits though, scattered around the museum sight there were a number of groups and societies to talk to and join as well as a small aero-jumble located on the far side of the site. There was some aerial entertainment too, including a wonderful beat up of the museum site from the BBMF Spitfire Mk IX, which certainly woke those of us at the back of a hangar up on its first pass! 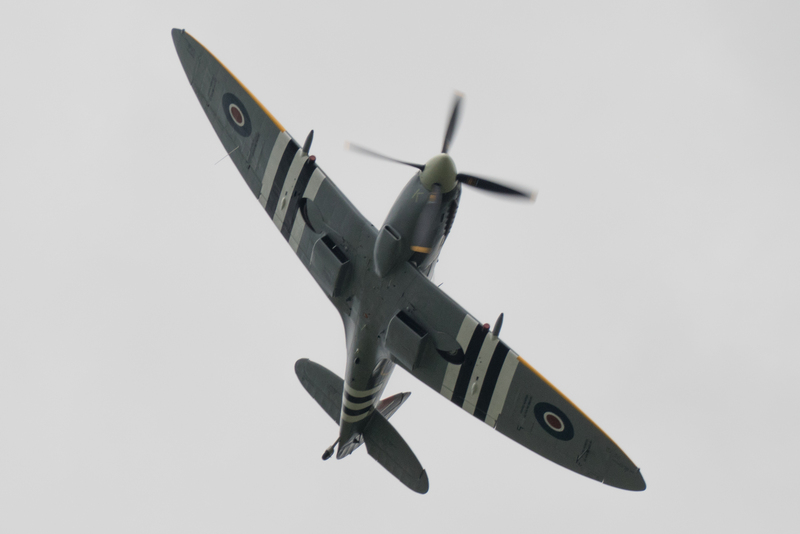 Spitfire MK356 passes overhead Newark. Shortly before we left a de Havilland Chipmunk performed a few passes in the overhead, which was nice to see as well. Later in the day visitors to Newark were lucky enough to receive a flypast from Vulcan XH558, which must have made quite a sight over the museums example. Another cockpit on display was this Hawker Hunter. Newark have certainly created a unique event with Cockpit-Fest, it seems to have reached a level of popularity that no other of its kind has yet. 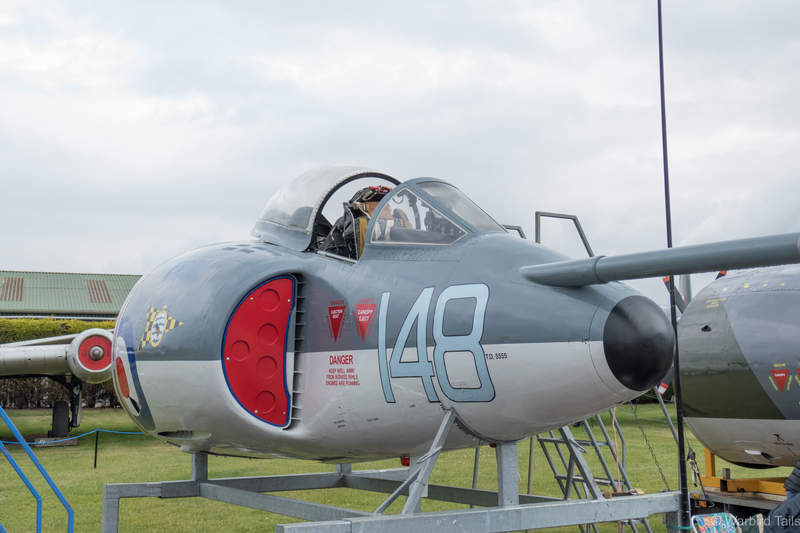 Everyone on site seemed to thoroughly enjoy the experience and with an extensive selection of rare complete aircraft on display as part of the museum and as good flying as they had on the Sunday, it was always going to be a great day out! I hope this short post has given a suitable taster for the event and the museum itself, to find out about next years show and the site in general, click here.